Bosch CCS Chairman Unit is intended for use with the Bosch CCS 900 Conference System. 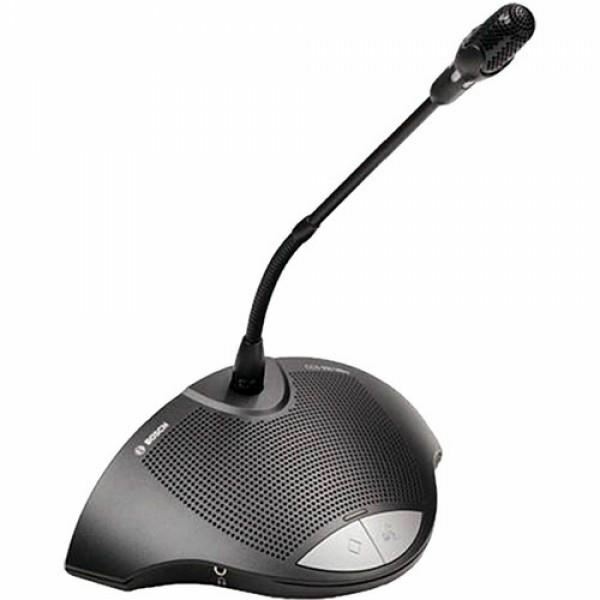 Much like the Delegate Unit, The Chairman Unit features a built-in speaker and an adjustable gooseneck microphone. The Chairman Unit provides added muting control over delegates. Permanently or temporarily mute delegate microphones in order to establish control over dialog. The CCS Chairman Unit's loudspeaker mutes automatically while in use, features a red LED ring to indicate power and a headphone output with dedicated level control. Shure BLX14/PG85This package includes the Shure BLX4 receiver, the PG185 wireless headset microphone and the BLX1 bodypack transmitter.The PG185 is an electret condenser microphone for clip-on use with a wireless bodypack transmitter. It comes with a clothing clip for secure placement and an acousti..